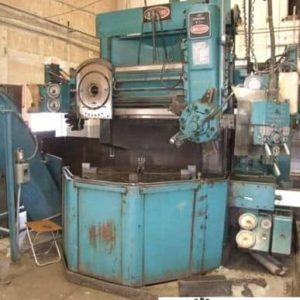 We Buy & Sell Used VTL’s (Vertical Turret Lathes) from all the top makers including Bullard, Summit, Giddings & Lewis, Froriep, Okuma, Mori Seiki, Hyundai, Doosan, Hankook & Betts. 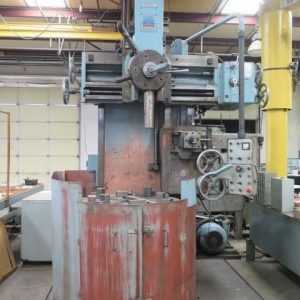 Boring machines come in a large variety of sizes and styles. Boring operations on small workpieces can be carried out on a lathe while larger workpieces are machined on boring mills. 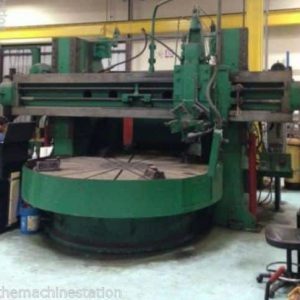 Workpieces are commonly 1 to 4 metres (3 ft 3 in to 13 ft 1 in) in diameter, but can be as large as 20 m (66 ft). Tungsten-alloy disks are sealed in the bar to counteract vibration and chatter during boring. The control systems can be computer-based, allowing for automation and increased consistency. Various fixed cycles for boring are available in CNC controls. These are pre-programmed sub-routines that move the tool through successive passes of cut, retract, advance, cut again, retract again, return to the initial position, and so on.